On November 16th 2010, the UNESCO inscribed the french gastronomic meal on the Representative list of the Intangible Cultural Heritage of Humanity. 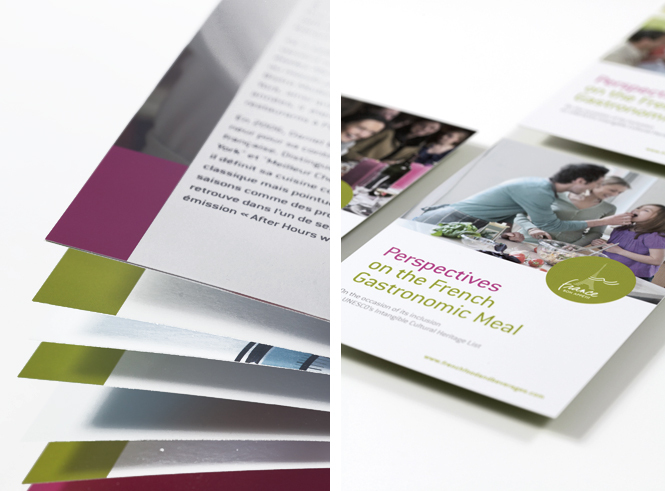 This brochure was published as part of the France Bon Appetit plan. It enables to read some of the chefs' and culinary journalists' reactions to this nomination. All of them were selected regarding to their contribution to the promotion of french culinary culture abroad. 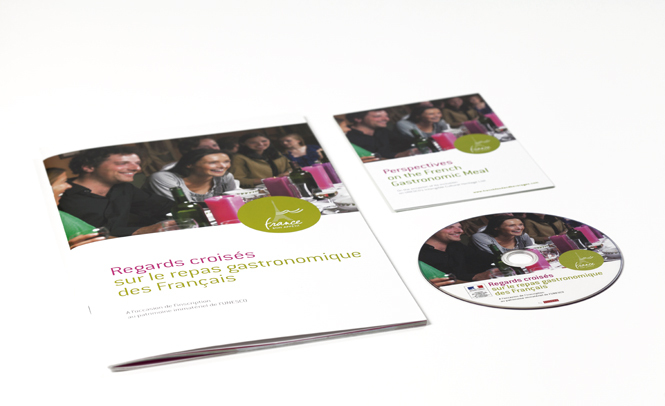 They speak out on the way french gastronomy ond products are perceived in their country. The Art Direction, throughout the layout and the selection of pictures refers to the codes used in the art of gastronomy as well as in the french tradition of sharing pleasure around a sophisticated meal.